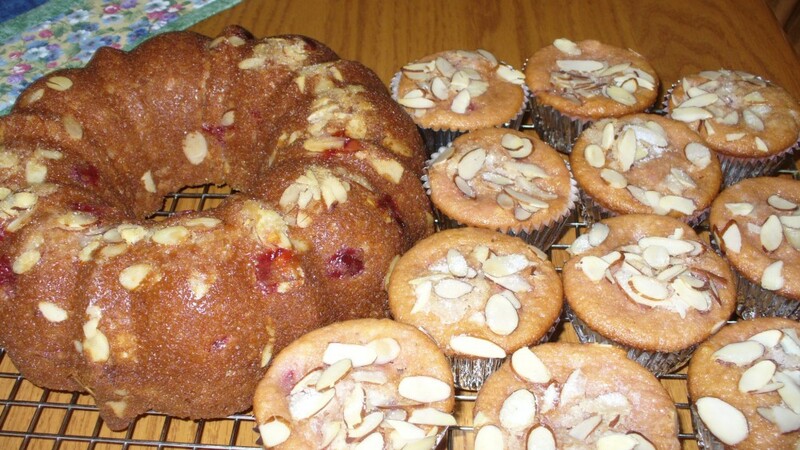 The perfect pairing: cherries and almonds! 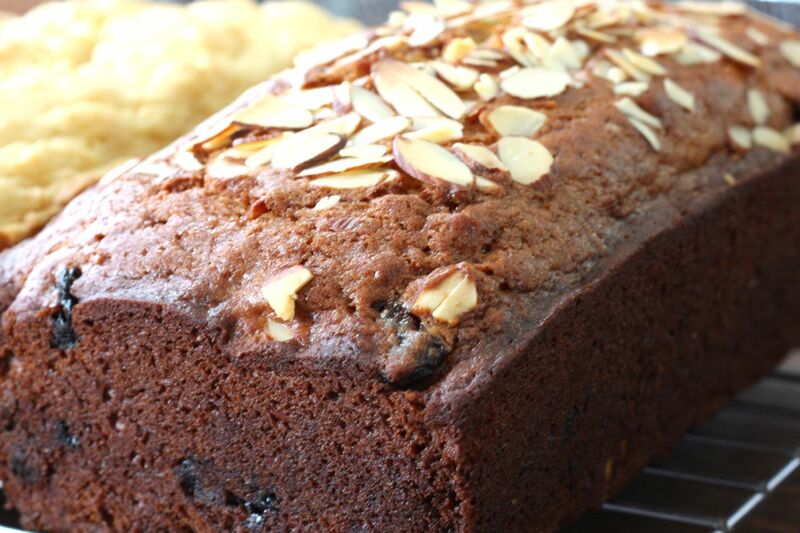 This recipe for Cherry Almond Amish Friendship Bread combines these ingredients to create a recipe worthy of any afternoon tea. 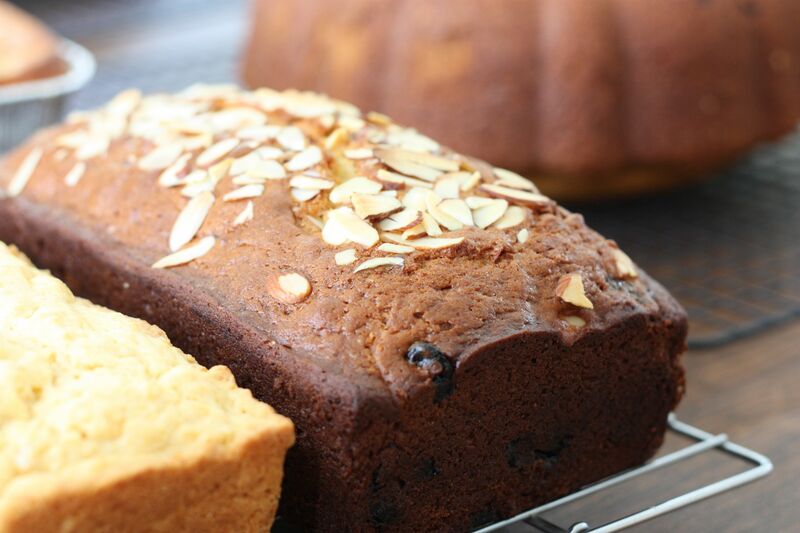 This recipe for Cherry Almond Amish Friendship Bread combines these ingredients to create a recipe worthy of any afternoon tea. In a large mixing bowl, add ingredients as listed except for cherries. Grease two large loaf pans. Dust the greased pans with ½ teaspoon of sugar and sprinkle a few sliced almonds. Toss cherries in flour then incorporate gently into batter. 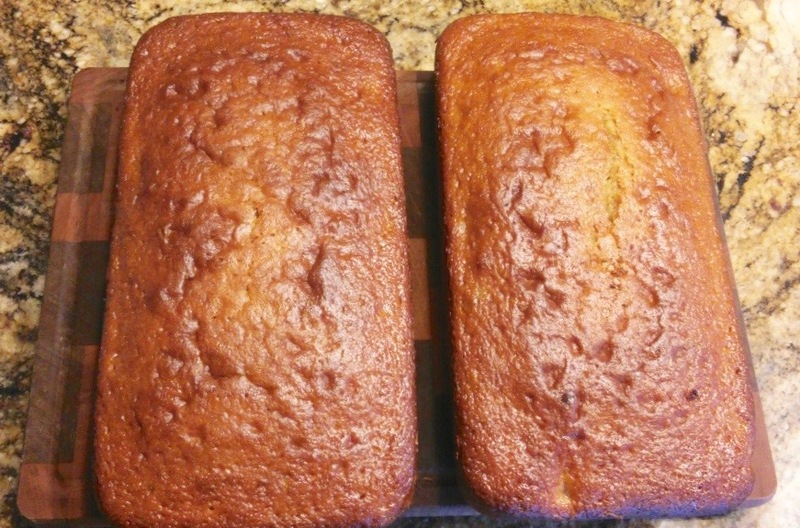 Pour the batter evenly into loaf or cake pans and top off with more sliced almonds. Bake for one hour or until the bread loosens evenly from the sides and a toothpick inserted in the center of the bread comes out clean. It was delicious but a bit too moist. If I make it again I’m going to use drained Maraschino’s instead of the cherry pie filling. I used almond emulsion & canned cherries and this was delicious. Really good recipe. I also substituted applesauce for the oil to save on the fats. It’s moist & very good. I recommend this one. I would like to make this for my dad and my nephew. I think they would both enjoy it. I have not made this since the 70’s when I lived in Ohio. I came across the starter recipe and all I want to make is the original recipe. I have MSD 2 starters and I am waiting for the 10 day process to be over. Then Merry Christmas to my neighbors ? I’d love to try this is in those co cute mini Bundt pans.